I am so excited about Little Brown's new imprint Mulholland Books! Mulholland Books' goal is simple: "to publish books you can’t stop reading." I don't know about you, but I love it! Their books will come in a variety of forms including crime novels, thrillers, police procedurals, spy stories, and even supernatural suspense. Mulholland also plans to focus on online community building, internet marketing and authentic connections between authors, readers and publisher -- isn't that refreshing to us blogger folks? I think Mulholland Books has so much potential. I can hardly wait until April 2011 when their first book will be published. 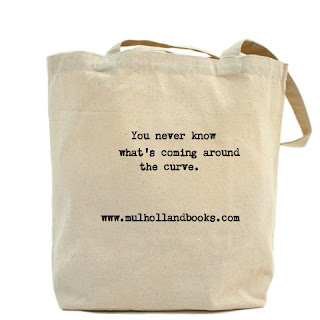 I'm a daily visitor to Mulholland Books' new blog, and I have to say they already have some fabulous guest posts from their favorite authors from the suspense writing community. So far they’ve posted a piece by Nick Tosches on the topic of genre, Patricia Highsmith and George V. Higgins and a Q&A between Shane Salerno and Don Winslow. And they also posted a fun piece about the intersection of comics and mystery novels by Brad Meltzer called “Batman is My Mr. Miyagi." There will also be forthcoming posts from Nelson DeMille, Ken Bruen, Joe Lansdale, George Pelecanos, Alan Glynn, Tom Piccirilli, Megan Abbott, Charles Ardai, Paul Hoffman, Laura Lippman, Josh Bazell, Jason Pinter and more. And on top of that there will be guest posts by the Mulholland authors themselves: Charlie Huston, Marcia Clark, Duane Swierczynski, Michael Robotham and a must-see challenge from Lawrence Block. As you can clearly see, you just need to subscribe to their feed so you don't miss any of this amazing content! Giveaway alert: I have a great Mulholland tote bag to share with one of you courtesy of Mulholland Books! To enter, all you have to do is add the Mulholland link to your blog roll on your site. It couldn't be easier. Then, come back here and fill out the form below. This contest will be open until August 19th at 11:59 p.m. ET, and I will notify the winner the following day. Good luck! 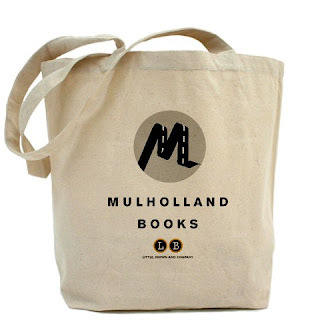 Oh and you know how much I love fabulous imprints with a terrific focus so you know that I am a fan and am already a supporter of Mulholland Books. So you know that this is a no-brainer for me...those authors are the ones that show up regularly on MY blog...and since I've already done this...well, this contest is EASY! :-) Nice! OMG. I would read ANYTHING by Lawrence Block, thank you very much, and Lee Child? I begin to purr when I think about his Jack Reacher series. This is just too damn exciting!